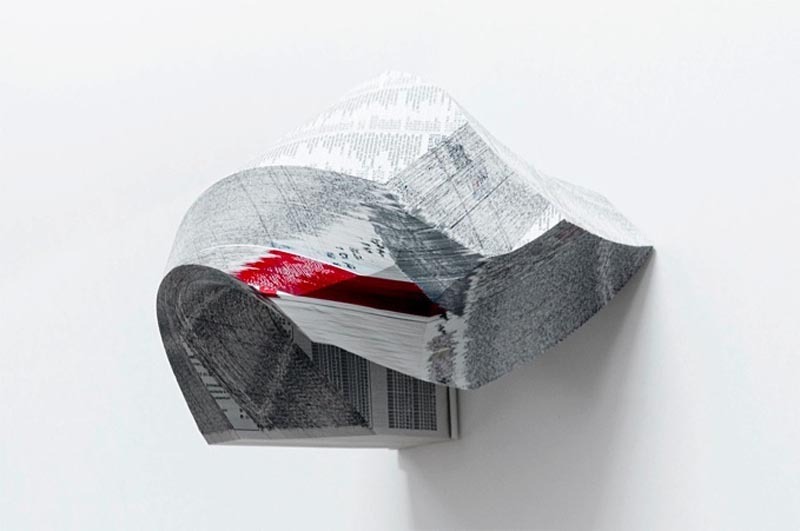 Berlin-based Italian artist Gemis Luciani upcycles phone books, magazines, brochures, and other similar objects into sculpture. By manipulating, de-composing and re-assembling the books and pages he reconfigures them into newly built systems of shapes and surfaces. His collages and spatial, large scale installations are meticulously created, and rely on a strong minimalist aesthetic. You can see more of Luciani’s work on his website here. Photos: courtesy of the artist; premioterna; and artribune. Interesting. I really like some of those – thanks for sharing.